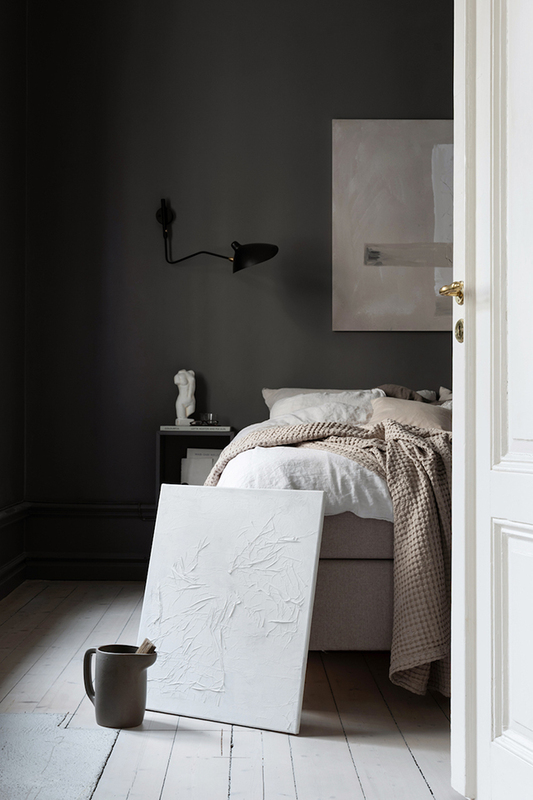 Lovisa Häger, who you may know as Residence blogger An Interior Affair, has a special talent for DIY. Her creations are so beautiful they fit seamlessly into her interior design work (remember this project?) and her gorgeous home which you can follow on Instagram. 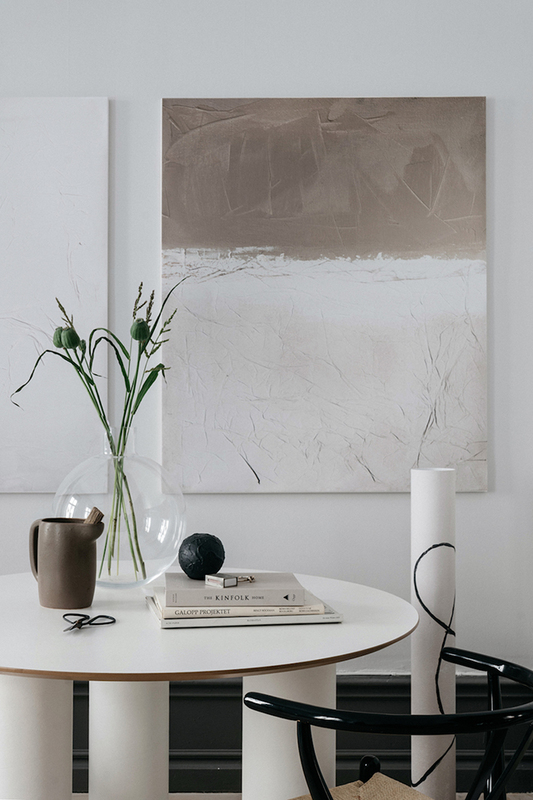 This has led to an exciting new collaboration with Swedish company Wall of Art where Lovisa has created a collection of limited edition abstract art prints. 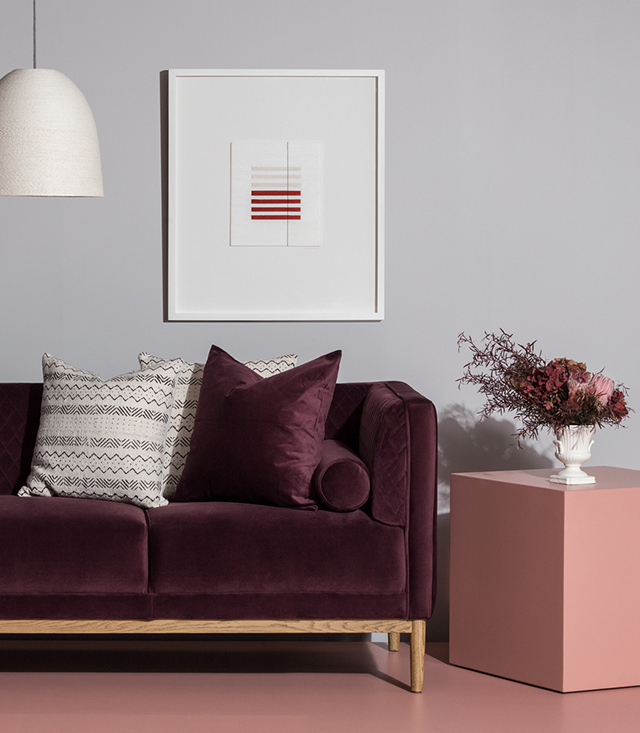 The idea behind the collection was to provide affordable prints in larger formats, something that Lovisa had trouble finding herself. Having been on the hunt for large scale artworks that won't break the bank myself, I love this concept. 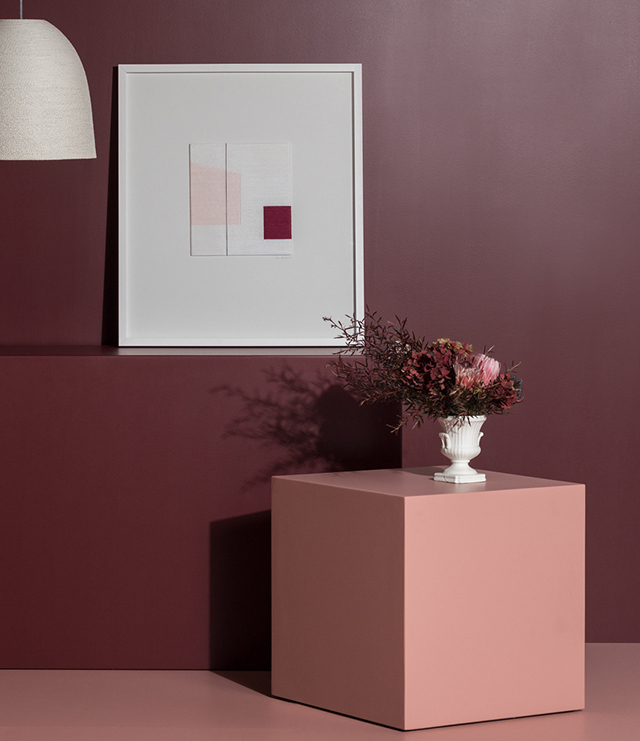 As expected, the artworks reflect Lovisa's style, exuding warm minimalism across a muted palette. Consisting of five large limited edition pieces (and a range of smaller sizes) you can view the full collection here. 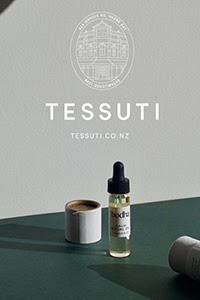 Great news for Wellington, the NZ capital now has an Aesop store and it is stunning. 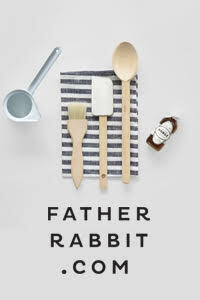 Aesop's inaugural Wellington signature store is situated within the historic Change House, a local landmark that bears the influence of the Art Deco era and the early skyscrapers of the Chicago and New York schools. Designed in collaboration with New Zealand practice Knight Associates, the 88-square metre space—once occupied by law offices—makes abundant use of natural timber to create a pleasing juxtaposition with the structure’s imposing 1930s exterior. 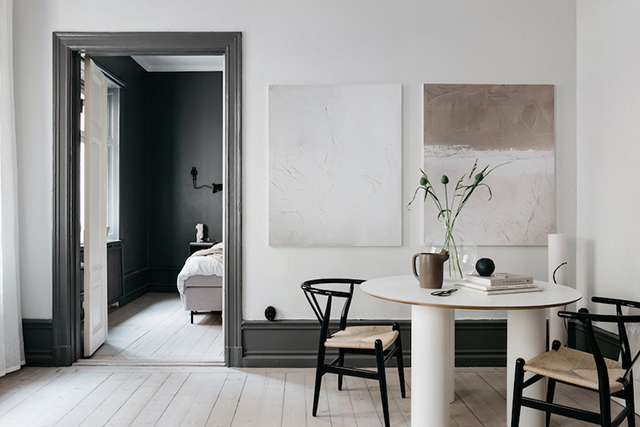 Inside, alabaster-painted walls offer immediate contrast to this façade, investing the space with a sense of depth and softness. The large street-facing windows, set deep into the thick masonry, allow a muted light to filter through, effecting a play between light and dark materiality; in particular, between the existing walls and the timber parquetry of the flooring. Oiled timber wraps the point-of-sale counter and shelving, which curves gently along the rear wall. Here, a capacious sink fitted with aged brass tapware offers a place for product demonstrations; the space beyond houses the Aesop New Zealand Head Office and online retail store. Just exquisite, I'm looking forward to popping in for a look next time I visit Wellington. 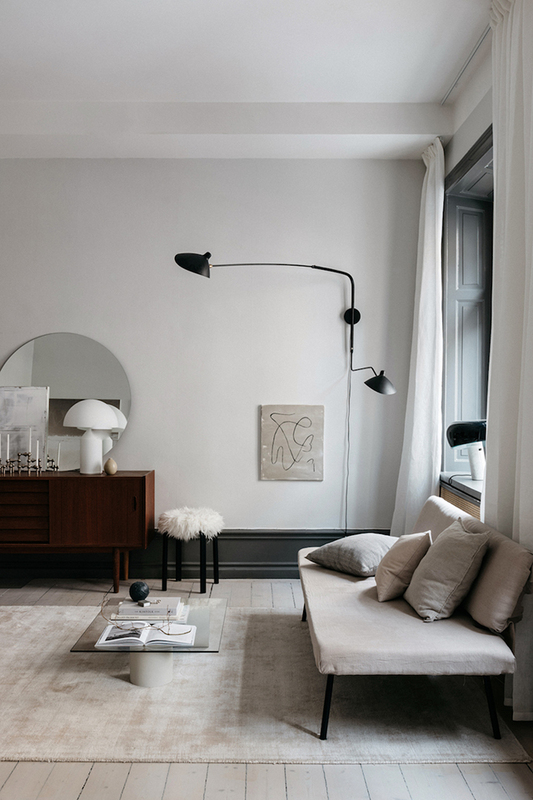 Articolo is a design studio that celebrates the art of light through a commitment to artisanal craft and quality workmanship. 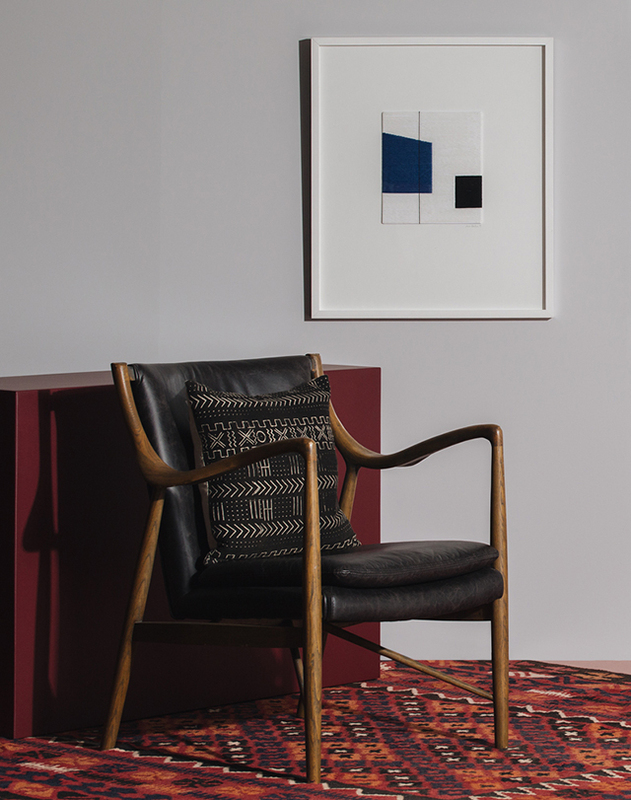 Based in Melbourne, the studio reflects creative director Nicci Green’s passion for the textural spirit of light; producing works that are internationally regarded for a contemporary yet enduring aesthetic and the luxurious pairing of materials. 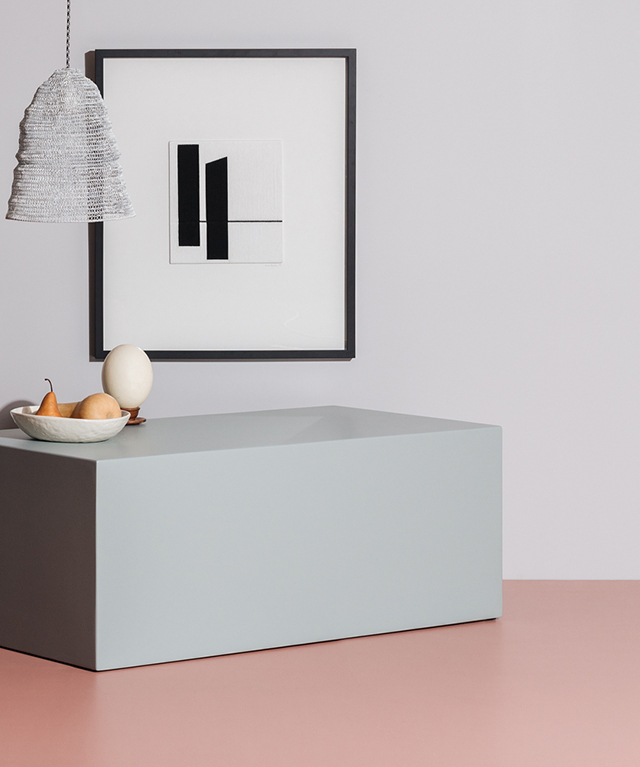 Articolo's latest collection was debuted at the recent ICFF in New York and I've picked out two of the beautiful new pieces to share with you. 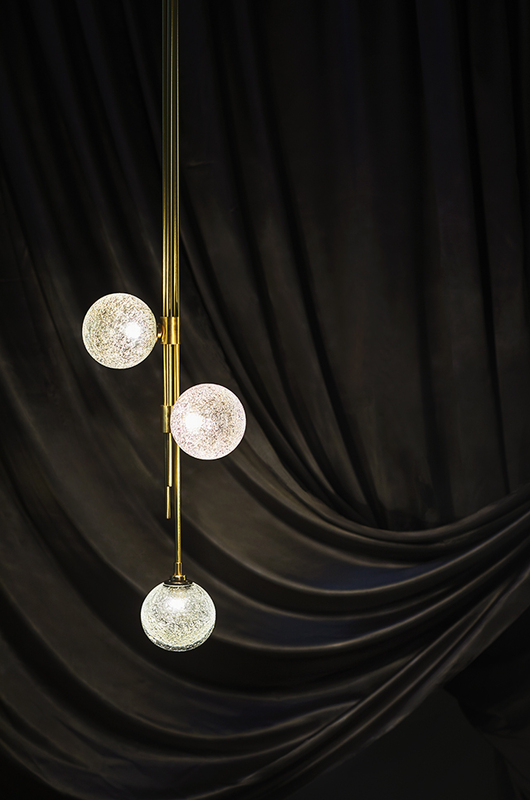 The new Trilogy pendant combines heritage opulence with modern minimalism. 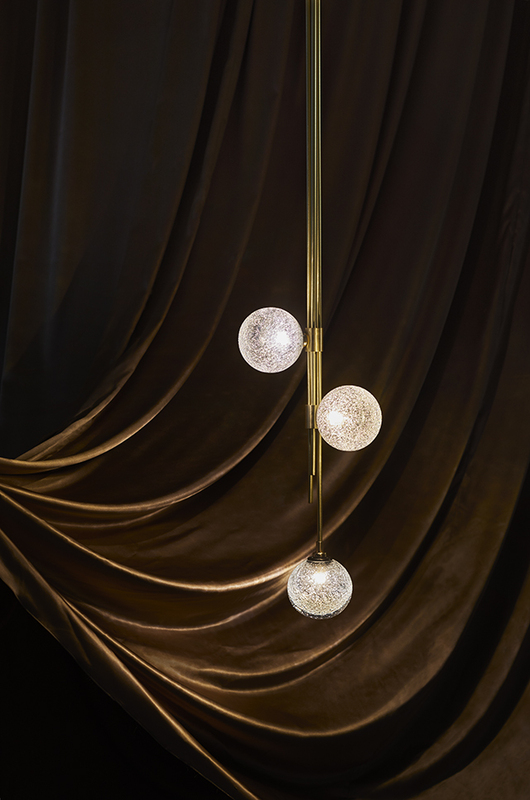 Suspended with grace, Trilogy is a quietly confident design that softly illuminates; its light source concealed within a trio of mouth-blown glass orbs. 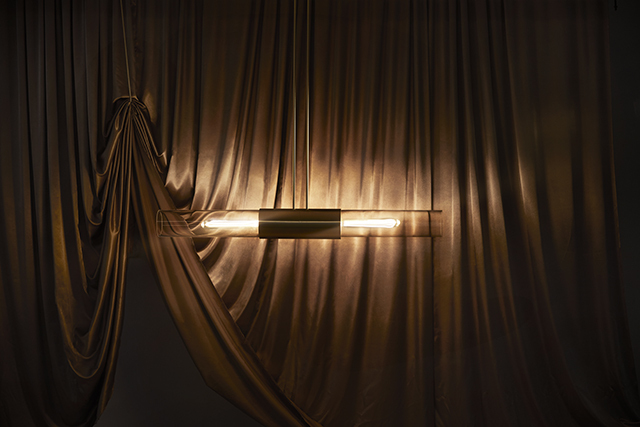 Supported by three solid brass rods that come together with a superb central cuff detail, Trilogy exemplifies deceptively sophisticated engineering, and is an exemplar of Articolo’s exploration of materiality, form and luminance. The Glimpse pendant, inspired by the dawn of a new day as sunlight streams across the horizon, is best described as an effortless balancing act. Here, a horizontal mouth-blown glass shade appears to levitate; its waist ensconced in a solid brass sheath, and its full form suspended by two subtle vertical brass rods from overhead. 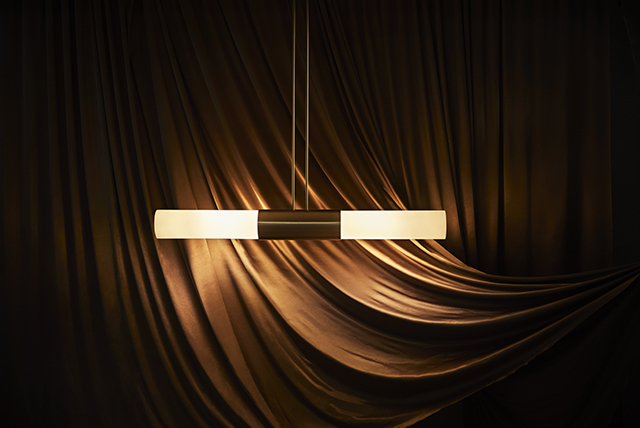 A clear glass shade reveals the elegant, elongated light source to wondrous effect, while the option of an opaque finish achieves a subtler outcome. For more information about this incredible lighting company and to see more of their designs, visit articololighting.com. Some more art news, this time a little closer to home, Wellington Textile Artist Jane Denton has released a beautiful new collection entitled Once. Created at the end of summer, Jane says she was drawn to an autumnal colour palette, lots of burgundy, crimson with greens and blues. "I never set out with a clear idea of what I'm going to create, it's an organic process with form and colours coming together along the way. I notice shapes where ever I go, it might be shapes on a building or a window - I find inspiration is everywhere! As I finished the first pieces I felt they had a slight mid century feel, and to reflect that in a subtle way I named the series Once". A long-time fan of Jane's work, I love the simple aesthetic of her pieces. 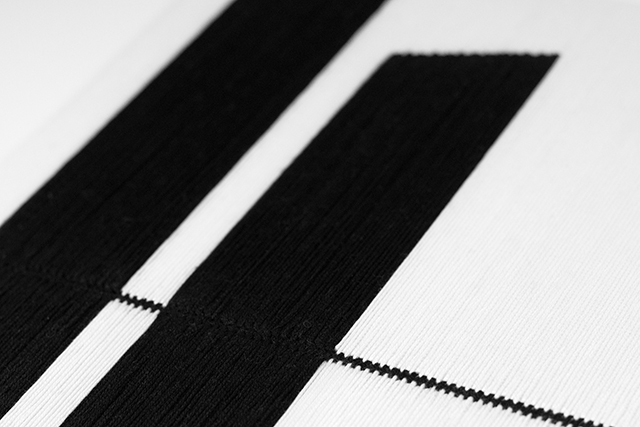 Her process however is anything but simple, created through hours of intricate stitching of wool and cotton on to canvas. I've included a close up above to show the fine detailing, which is even more beautiful in real life. 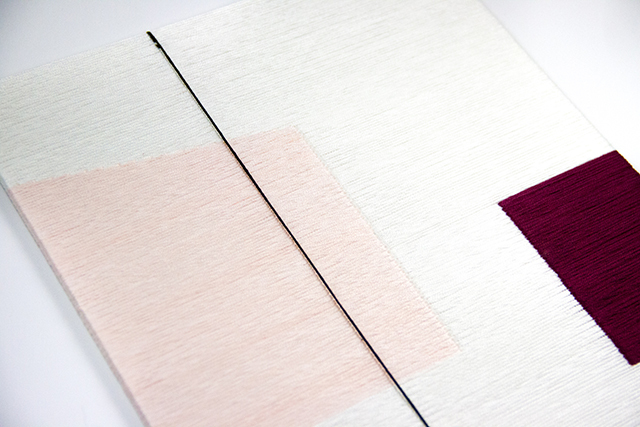 The subtle texture and architectural feel of this new collection is divine. See the full collection here.